Wahlberg and Russell Together Again for "The Silver Lining Playbook"
We were dubious when we first heard about David O. Russell directing an underdog sports movie, so we'll give Mark Wahlberg the benefit of the doubt as a former mental patient trying to piece his life back together. Russell and Wahlberg are reuniting for an adaptation of Matthew Quick's "The Silver Lining Playbook," reported Variety. 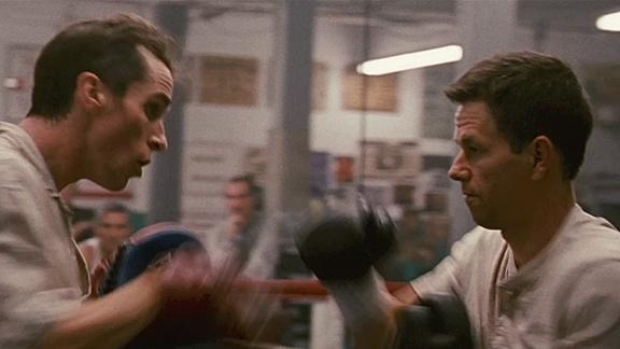 Russell and Wahlberg have made two excellent films together--"The Fighter" and "Three Kings"--and Russell teased out of Wahlberg the best performance of his career in the otherwise dreadful "I (Heart) Huckabees." Until they turn in an unqualified dog, they've got our attention--no matter how dubious the project sounds.